Join the No. 1 bootcamp in Selby! Have fun, work hard, meet great people and achieve real results! In just 6 weeks we will have you feeling and looking great! Our sessions are provided in a welcoming and enjoyable environment and we make sure that the workouts are suitable for all levels of fitness, ability and ages. Are they tough? Yes, the sessions are challenging and fun, but not crazy. You’ll leave every time feeling amazing and you’ll soon understand why fitness doesn’t have to be boring! Price – £60.00 for x2 sessions a week (that’s only £5 a session!) – You can come to any of the sessions and this can vary from one week to the next. Please don’t delay, we only have a limited number of places available as we never over subscribe classes. The first 3 people who sign up will also receive a FREE Lion Fitness sports t-shirt worth £15.00. 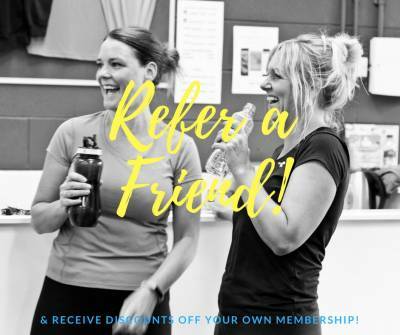 We have an AMAZING deal for those of you who want to join us more than twice a week. We offer a monthly membership which gives you UNLIMITED access to ALL of our classes. That’s our bootcamps, Boxing, Yoga, HIIT, circuit, metafit & pilates classes. Click here to view our class timetable. The normal (no contract) price is £49.50 a month, which can work out as little as £2 a class! We have also extended our January half price promotion too! This commits you to a minimum 4 month contract, but with the first month at the reduced price of only £24.75.